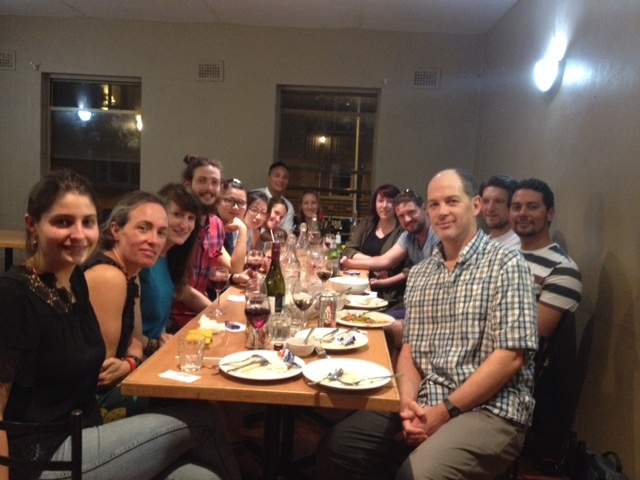 Last night the GRG converged on Newtown to celebrate what has been a very busy and exciting year. It was a great night and special thanks to Mandi and Steph for organizing things. We have made some super progress this year with grant successes, attendance at international conferences, fieldwork, lots of excellent papers published and theses completed. For those leaving the group we wish you all the very best and stay in touch. Welcome to all our new group members and Ana and I look forward to what should be an even better 2016!